16 Jun Back to Southeast Asia. Time for a Burst of Love? Time runs quickly, and in only a few days I’ll be heading back to Southeast Asia for a (relatively) extended period. I limited my stay at 45 days since the flight was cheaper but honestly, I could have decided to spend a longer time. The truth is that I didn’t feel like it. It’s not my first journey to Southeast Asia, and while I certainly liked the few countries I visited, I never really felt the ‘WoW!’ factor. I am curious, though, so this time I’ll explore new areas and who knows? Maybe I’ll have a burst of love. Whenever possible, I try to avoid too much planning. I like to feel free to spend more time in a place that I truly like, or to explore an area I hadn’t considered because I found good advice on the road. Compared to my wild journey to South Africa, where I decided my itinerary almost day by day, this trip has already a more definite form. Where will I go and what will I be up to? Siladen… Here I come back again! 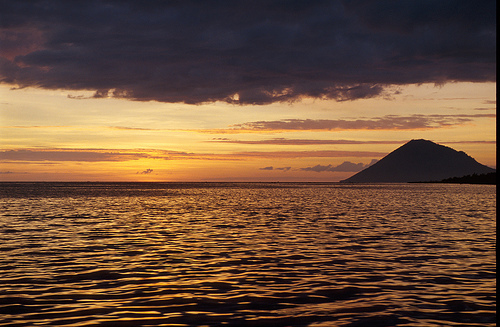 A small island in Northern Sulawesi, a wedding on the beach and most likely a wonderful sunset with the Manado Tua volcano as a backdrop. One of my best friends is getting married in this little piece of paradise and we are a small group of intimates gathering to celebrate what will no doubt be an unforgettable day. The rest of the time I’ll be very busy chilling out, scuba diving in the stunning Bunaken Marine Park and getting pampered with massages and excellent food. Last time I was in Singapore it was under construction, and I can’t wait to see the new Marina Bay area. 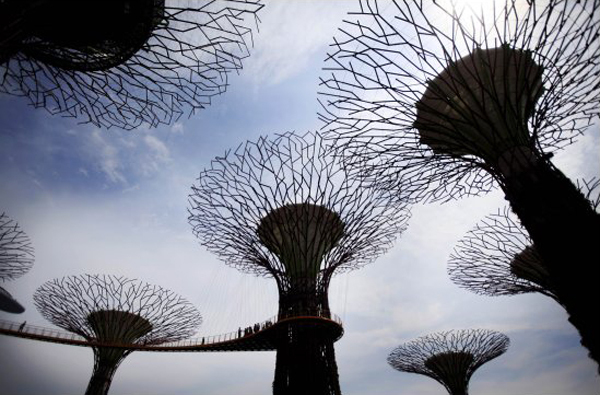 I am particularly attracted by the Vertical Gardens – the solar-powered Supertrees at the Gardens by the Bay – which will be inaugurated at the end of June. I’m also keen to explore new areas, even though I’ll decide which ones once I’ll be there. The real highlight of my journey to Singapore, however, is that I’ll meet and hug my friend Charles Yap, who just moved back to his hometown from London. I didn’t have the chance to share the farewell parties in London, but I’ll celebrate with him an unforgettable ‘welcome back’. I also hope to meet a few other people I’ve been virtually in touch with for a long time, like Rose John and Tan Geng Hui. When I first thought at a possible itinerary, I was uncertain between getting to see more of Indonesia or exploring one or more countries between Cambodia, Laos, Vietnam or Myanmar, and finally decided for the latter. The reason is simple and rather obvious: of all countries, Burma is the one likely to change more quickly in the near future so now is the right time to go. And reading the stories by my good friend Nellie Huang, who recently went in this wonderful country, definitely convinced me that this is the wild journey I want to make. 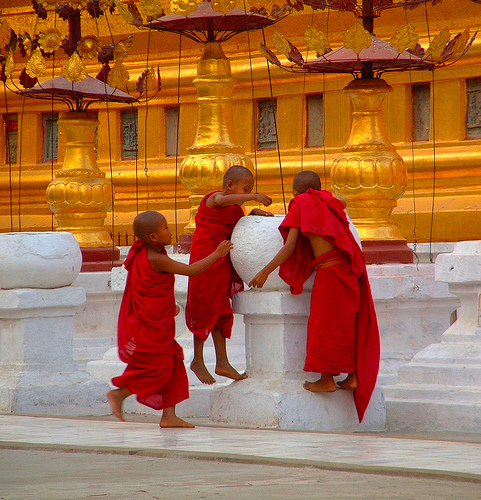 Myanmar has so many landmarks and must-see that it’s hard not to do a classic itinerary. Still, I’ll try to get as much as possible the chance to discover a few off-beaten places and, above all, to get in touch with people so that I can have at least a taste of their every day life. Before ending my journey in Southeast Asia and heading again to Singapore to catch my flight back to Italy I might spend the last few days in Malaysia, although this is still a question mark. Why am I feeling hesitant? It’s not entirely clear to me, although I suspect it’s related to expectations, my little interest towards Asian megalopolis and my lack of feeling – at least until now – with the tropical environment. I feel better in the desert and the mountains. I know it’s unfair, but Malaysia is one of the few countries I can’t really focus on, I’m unable to find a place or an area feeding my dreams. The only reason why I could spend a few days there is to eventually meet in real life Umei Teh (and maybe tasting the huge and delicious Sabah crabs she wrote about) and David Hogan Jr. Well, friendship is always a good reason. And after touring Myanmar, I don’t exclude that I might need a few days of rest in some nice secluded beach. Any advice and idea on things to do and see, places not to miss, best accommodation and so on would be great! Great itinerary. 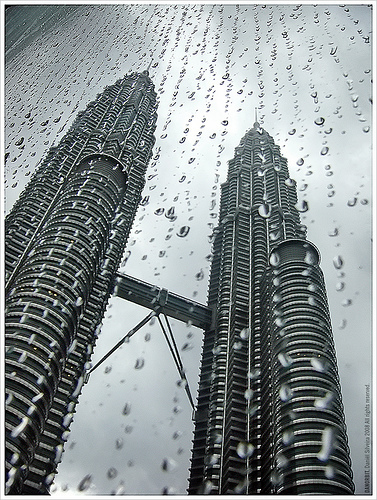 I would have recommended to explore a bit of Malaysia before you went. How’d you go? Indeed, I eventually stopped a few days in Kuala Lumpur before traveling to Burma and then spend a few days on the Perhenthian islands on the way back! I’m so happy you are exploring my part of the world! 🙂 Enjoy the hot and sweaty weather! 😀 Oh the food….. I think it’s fabulous you’re keen on visiting Myanmar. 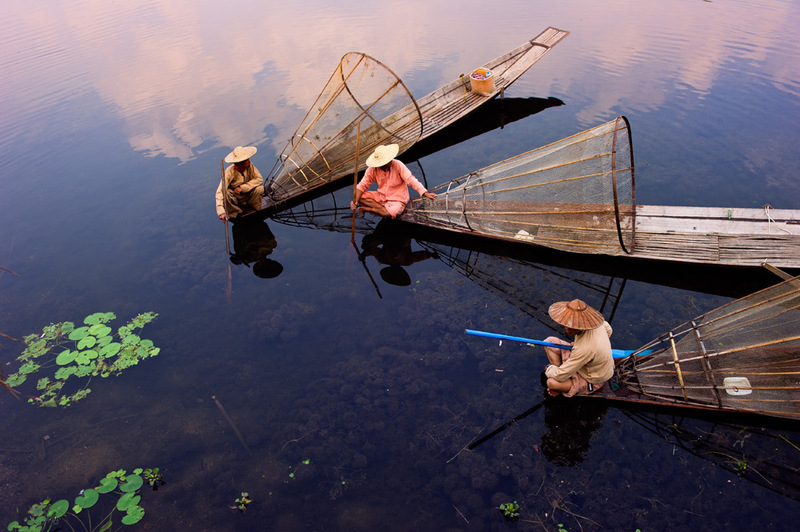 It’s the one country I haven’t been to in SE Asia that I truly want to visit more than any other. What absolutely stunning photos. Asia remains all “foreign” to me as yet (there IS a plan! )so for now I am looking forward to some vicarious travel with you! Enjoy….and enjoy for me too, please! Wow, Simon! Have a great trip to Southeast Asia. I will certainly be following along! I have not traveled at all yet in that part of the world, but we are definitely curious about it. Hi Simon: If you do go to Malaysia, I think you’d like Penang. I’m in Asia now but looks like we’ll miss each other – again. I head for Bangkok next week, then Cambodia, but then back to the States for a month. One of these days…. Penang… Yes, David Hogan Jr. suggested it too. Not sure though. Apart from the fact that I understood it’s the monsoon coast, I’d rather go and rest a few days in a small island around the Perhenthian. We’ll see. What a pity that we’re missing each other again! I would like so much to meet you. Had even been thinking at possibly join you in Nepal from Burma. Well… It’ll happen. I know. Have a great trip. Malaysia would be the first country I would head to. I really want to check out Borneo and would also love to meet Ciki. That’s interesting, Ted. The beauty of life is also seeing how people are different. I think that you like the jungle, while to me it’s one of the habitats where I feel less comfortable. I have been and will surely go back. But it’s hardly a first choice coming out spontaneously. Batu Caves… Yes, I’ve read about it and could be a good idea if I eventually go to Malaysia. Can’t wait to meet you in Singapore. See you soon! What a lovely itinerary. I think, if you’re coming all this way, you might as well visit Malaysia. Its a 7 hour train journey from Singapore to KL. One unique place to check out if you have time in the city is Batu Caves. Its a Hindu place of worship where its temple is situated high up in the lime stone caves. You have to climb up 272 steps to get there. Its quite unique. Look forward to meeting you in Singapore!